For today only, the iMore Store has the Qmadix Snap-On Cover w/ Holster for iPhone 4S, iPhone 4 on sale for only $13.95!. Get them before they're gone! 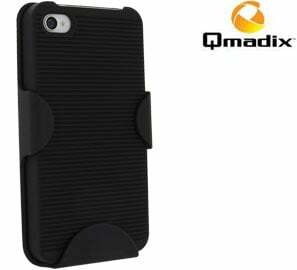 Get the Qmadix Snap-On Cover w/ Holster for iPhone 4S, iPhone 4 now!